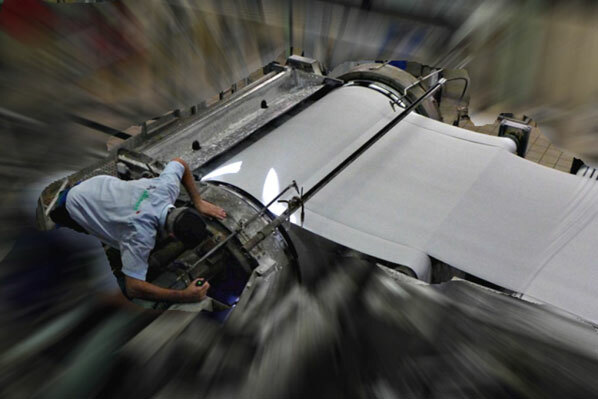 ALLIMAND INTERWEB has supplied a Rotoformer for the production of specialty papers. It has the capabilities to run 100% cellulose fibers or a blend of synthetic and cellulose fibers. The Rotoformer was supplied complete with hydraulic headbox, parabolic inlet manifold with diffuser tube bank, drilled stainless steel shell, and couch roll with loading assembly. The Rotoformer also features a three chamber, baffled forming box.